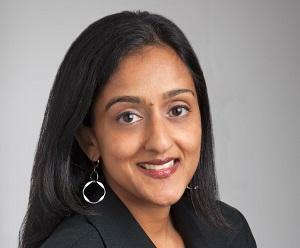 ACLU drug and sentencing reformer and racial justice fighter Vanita Gupta is nominated to lead the DOJ's Civil Rights Division. 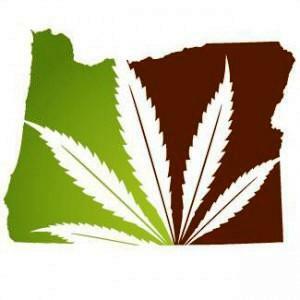 Latest Poll Has Oregon Legalization Initiative Up By Nine Points. An Oct. 8-11 survey taken for Oregon Public Broadcasting has the Measure 91 legalization initiative at 52% of the vote with 41% opposed. If these numbers hold true, even if all undecided ended up voting "no," the initiative would still pass. NJ Weedman to Lead Legalization March Saturday in Trenton. New Jersey marijuana activist Ed Forchion, also known as the NJ Weedman, is leading a legalization march this Saturday in Trenton. Click on the link for more details. Americans for Safe Access Launches "Vote Medical Marijuana" Campaign. The medical marijuana defense and advocacy group aims to educate voters ahead of next month's elections with a new 30-second online TV advertisement that will air on Sunday cable news programs in Detroit, Philadelphia, South Florida, and Washington state. The campaign also includes an interactive online voters' guide at VoteMedicalMarijuana.org. Check it out at the links. Another Poll Has Florida Initiative Coming Up Short. A new Tampa Bay Times/Bay News 9/UF Bob Graham Center poll has the Amendment 2 medical marijuana initiative at 48% of the vote with 44% opposed and 7% undecided. Because the initiative is a constitutional amendment, it needs 60% to win. This is just the latest in a series of polls showing the initiative failing to reach that mark. Click on the link for more poll details. Obama Nominates ACLU Attorney with Strong Drug Reform Record to Head Justice Department Civil Rights Division. The Obama administration has nominated ACLU attorney Vanita Gupta to head the Justice Department's civil rights division. Gupta has been a stalwart drug reformer, working to obtain justice for the victims of racially biased drug enforcement in Tulia, Texas, currently leading the ACLU's National Campaign to End Mass Incarceration, and speaking out frequently about drug war injustices and against mandatory minimum sentencing. "The war on drugs has been a war on communities of color," she wrote in 2011. She is also a strong supporter of marijuana law reform, including legalization. Unprecedented Swarm of Overdoses at Vancouver Safe Injection Site -- But No One Died. Vancouver's InSite safe injection site has seen 31 overdoses in two days, a record for the facility. The ODs came on Sunday and Monday, and speculation is that a particularly strong batch of heroin, perhaps laced with fentanyl, is responsible. It's worth noting that no one died in the InSite overdoses, where medical attention is at hand. In fact, no one has ever died of an overdose at InSite. The batch of heroin has claimed at least one life, though -- a 20-something woman who died in a hostel on the Downtown East Side. There was no medical attention on hand for her. "Heroin overdoses don't need to be fatal," said Gavin Wilson of the Vancouver Coastal Health Authority, which runs InSite. "They're reversible if caught in time." 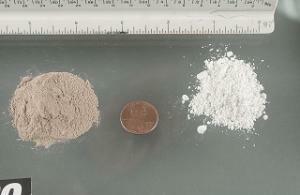 Guatemala Weighing Softer Drug Punishments. President Otto Perez Molina has told Reuters that the country is considering reducing drug sentences for small-time offenses as part of its push to liberalize its drug policy. "We have 17,000 prisoners in our jails. Many of them are linked to drug trafficking. Some of them are indeed criminals. And there are some who are in for minimal amounts of consumption or possession," Perez said. "So I think there are steps we could take time to analyze," he added, when asked about the possibility of easing sentences to lighten the strain on Guatemala's overstretched penal system. The government received an interim report from a commission studying possible drug policy changes last month, and Perez said final recommendations would be ready sometime in the first half of next year. He also said that his government is considering regulating medical marijuana and opium poppy production for medical purposes. Dutch Court Refuses to Punish Marijuana Growers. A court in Groningen has found two people guilty of growing marijuana, but refused to punish them, instead criticizing the government's policy that criminalizes pot growing but allows its sale in the country's famous cannabis coffee shops. "The court finds the suspects guilty, but no punishment will be applied," the court said in its ruling. "Given that the sale of soft drugs in coffee shops is tolerated, this means that these coffee shops must supply themselves and so cultivation must be done to satisfy these demands. The law does not state how this supply should be done," the court said. The Groningen growers had been open about their activities, and the court found they had acted within the spirit of the marijuana laws, acting "in the interests of public health and so as to not disturb the public order." The State Department's point man on international drug affairs signals a new flexibility in US policy, Bolivia's coca farmer President Evo Morales wins reelection, the DC initiative wins more endorsements, the Florida medical marijuana initiative is in danger, and more. Assistant Secretary of State for International Narcotics and Law Enforcement William Brownfield says some surprising things. DC Initiative Picks Up Labor, Working Families Endorsements. DC's Measure 71 marijuana cultivation and possession legalization initiative has been endorsed by two labor unions and a District-based activist group. The Service Employees International Union (SEIU) and the United Commercial Food Workers (UCFW) have come on board, citing the elimination of racially discriminatory enforcement and the removal of barriers to job opportunities. So has DC Working Families, a progressive social justice activist group. Northern California Marijuana Summit Being Planned in Advance of 2016 Effort. 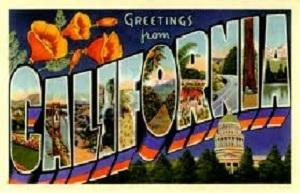 Aware that a well-connected California marijuana legalization initiative is coming in 2016, some Northern California counties are laying the groundwork for a regional summit on the issue. Mendocino County CEO Carmel Angelo told county supervisors last week that the impending legalization initiative had led her to have discussion with other county CEOs about forming a Northern California Cannabis Summit next year. The proposed meeting would discuss possible economic, regulatory, taxation and policy implications to prepare for 2016 legalization. Latest Poll Has Florida Initiative at 52% -- It Needs 60% to Win. A new poll with a large sample and small margin of error has the Amendment 2 medical marijuana initiative coming up short. According to the SaintPetersBlog poll, a slim majority (52%) supports the initiative, but that's not enough because, as a constitutional amendment, it needs 60% of the vote to pass. The poll sample consisted of 3,128 Florida registered voters who said they were planning to vote in the election and has a margin of error of +/- 1.8%. The poll is roughly in line with other recent surveys that have shown Amendment 2 polling in the 50s. State Department's Drugs Point Man Signals US Flexibility on Drug Reform. 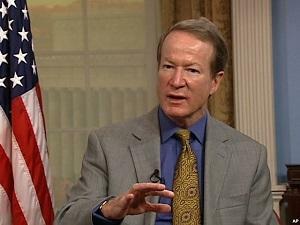 In a speech last week at the United Nations, Assistant Secretary of State William Brownfield, the head of the Bureau of International Narcotics and Law Enforcement Affairs ("drugs and thugs"), made it clear that the US is willing to embrace flexibility, up to and including drug legalization in other countries, in the face of rising calls for international drug reform. Brownfield succinctly laid out the US approach: "First,... respect the integrity of the existing UN Drug Control Conventions. Second, accept flexible interpretation of those conventions. The first of them was drafted and enacted in 1961. Things have changed since 1961. We must have enough flexibility to allow us to incorporate those changes into our policies. Third, to tolerate different national drug policies, to accept the fact that some countries will have very strict drug approaches; other countries will legalize entire categories of drugs. All these countries must work together in the international community. We must have some tolerance for those differing policies. And our fourth pillar is agreement and consensus that whatever our approach and policy may be on legalization, decriminalization, de-penalization, we all agree to combat and resist the criminal organizations -- not those who buy, consume, but those who market and traffic the product for economic gain. Respect the conventions; flexible interpretation; tolerance for national polices; criminal organizations -- that is our mantra." Click on the link to read the entirety of his remarks. Houston Mayor Calls for "Complete Rethinking" of Nation's Drug Laws. Ten minutes into an interview with Dean Becker of the Drug Truth Network Annise Parker (D) unloaded on drug prohibition: "I agree with you that we need a complete rethinking of the nation's drug laws," she told Becker. "We have seen over and over again that outright prohibition doesn't work. We saw that in the '20s when the prohibition in this country fueled the rise of organized crime. At the same time we don't want in any way to send a message that illegal drugs are approved or appropriate, but we need to figure out a way to go to managing these drugs rather than simply saying, 'Don't do it or we are going to treat all illegal drugs the same.'" There is more; click on the title link to hear the whole thing. Bolivia's Coca Farmer President Cruises to Easy Reelection. Coca farmer union leader Evo Morales has easily won reelection to an unprecedented third term as Bolivia's president. He won 59.5% of the vote, more than doubling the vote total of his nearest challenger in a five-man field and obviating the need for a runoff election. Although it remains one of the hemisphere's poorest countries, Bolivia's economy has flourished under the rule of Morales and his Movement to Socialism (MAS). The US has criticized Bolivia over its coca policies, but that didn't seem to be much of an issue in the elections. Polls Split on Alaska Initiative. The fate of Alaska's Measure 2 legalization initiative remains up in the air. Polls this week commissioned by the opposing sides had differing results. 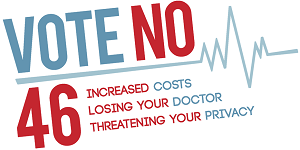 A Dittman Research poll sponsored by the "Big Marijuana, Big Mistake, Vote No on 2" campaign has the measure losing 44% to 53%. But the Alaska Survey poll, in which the Campaign to Regulate Marijuana Like Alcohol paid for a marijuana policy question to be asked, had the initiative winning 57% to 39%. Both polls claimed a +/- 4% margin of error, but even so, both of them can't be right. The split in polls has been evident throughout the campaign. Stay tuned. More Than 6,000 Illinoisans Have Applied for Medical Marijuana Cards. The Department of Health reported Wednesday that some 6,300 state residents have applied for permission to use medical marijuana, with cancer, fibromyalgia, multiple sclerosis, and spinal cord injuries being the most common health conditions mentioned. But the department also noted that the vast majority of applications were incomplete; only 800 have submitted complete applications, which include a doctor certification form and background check information. People whose applications are incomplete will be notified and then will have 21 days to complete them. Guam Election Commission Seeks to End Legal Challenge to Medical Marijuana Initiative Vote. The commission has asked the US District Court on the island territory to dismiss the petition for a writ blocking the vote filed by local attorney Howard Trapp. Trapp has argued that the legislature cannot send an initiative to the voters, but the Election Commission and the Guam Supreme Court have already rejected his claim. Drug Czar Claims Marijuana Legalization Undermines Fight Against Opiates. In a speech yesterday in Maine, acting head of the Office of National Drug Control Policy (ONDCP -- the drug czar's office) Michael Botticelli argued that the trend toward marijuana legalization is making the fight against more serious drug problems, such as the abuse of prescription opioids, more difficult. He said that early use of marijuana increases the likelihood that users will develop dependency on other drugs. "It's hard to say at one level that we want to think about prescription drug abuse and heroin abuse without looking at how to prevent kids from starting to use other substances from an early age," he said. Four Northeastern States Create Anti-Heroin Task Force. Massachusetts, New Jersey, New York, and Pennsylvania officials Wednesday announced the formation of the Northeast and Mid-Atlantic Heroin Task Force (NEMA-HTF) in "an unprecedented law-enforcement collaboration to combat the growing problem of heroin distribution and abuse in communities throughout the region." Attorneys General from the four states will work together to try to repress the heroin trade. "For too long, drug organizations have tried to outmaneuver law-enforcement agencies by crossing state lines. This task force will ensure that our borders do not become our boundaries," said New York Attorney General Eric Schneiderman. "By joining together, we can prevent defendants from using state borders as a shield from law-enforcement and allow us to shut down the pipelines and cut off the heroin supply." Why Are We Freaking Out About Heroin? Wonkblog Asks. The Washington Post's Wonkblog has an insightful piece about the level of heroin use in the country and the public policy response it has engendered. The piece notes that "hardly anyone uses heroin" and is full of crunchy numbers and thoughtful commentary. "Overall, it's important for the public -- and particularly the media -- to keep some perspective when it comes to the numbers on heroin," the piece concludes. "It doesn't make a lot of sense to speak of 'epidemics' when use rates continue to hover somewhere between 0.1 and 0.5% of the total population. And kneejerk legislating will only make the problem worse." Click on the link for the full piece. New York City Conference on Psychedelics This Weekend. The eighth annual Horizons: Perspectives on Psychedelics conference will be held at Judson Memorial Church and The New School in Greenwich Village on October 11 and 12. Horizons focuses on contemporary research into the applications of psychedelics, providing an invaluable forum for experts to share ideas, insights, and to rethink the future of these drugs in science, medicine, culture, and history. This year, professors, researchers, writers and practitioners from the United States, England and Switzerland will be presenting findings and insights in the fields of neuroscience, terminal anxiety disorder, depression, hard drugs addiction, sexual orientation and identity, and more. Click on the links for more information. Canada's Largest Addiction Center Calls for Marijuana Legalization. In a report issued today, Canada's largest addiction center calls for marijuana legalization with a strict regulatory approach. The recommendation is based in harm reduction principles. The Center for Addiction and Mental Health (CAMH) in Toronto made the call for legalization in its report CAMH's Cannabis Policy Framework. It comes after an in-depth analysis of the health, social, and legal implications of marijuana use, as well as an examination of comparative marijuana policy, by CAMH scientists and policy experts. "Canada's current system of cannabis control is failing to prevent or reduce the harms associated with cannabis use," said Dr. Jürgen Rehm, Director of the Social and Epidemiological Research Department at CAMH. "Based on a thorough review of the evidence, we believe that legalization combined with strict regulation of cannabis is the most effective means of reducing the harms associated with its use." Myanmar Moving Toward Reducing Drug Penalties. Deputy Minister for Home Affairs Brigadier General Kyaw Kyaw Tun has told members of parliament that the government is preparing to review sentences for drug use, which currently range from five to 15 years in prison. "Officials from the Central Committee for Drug Abuse Control, the Union Attorney-General's Office and the Union Supreme Court are drawing up an amendment law," the deputy minister said. The Myanmar government has been moving to shift drug penalties since 2012. Dallas to Quit Arresting People for Small-Time Marijuana Possession. Starting in January, police in Dallas County, Texas, will only ticket -- not arrest -- people caught in possession of two ounces or less of marijuana. But those cited will still face misdemeanor charges, a fine of up to $2,000 and up to six months in jail (though that is rarely the case). The state legislature in 2007 voted to allow jurisdictions to implement cite-and-release, but only a handful of locales in the state have exercised that option. Legalization Initiative Campaign Kicks Off in Lewiston, Maine. The campaign to legalize marijuana locally through ballot initiatives in Lewiston and South Portland, Maine, kicked off its final month of electioneering with a rally today in Lewiston. The effort is led by the Marijuana Policy Project and is part of a plan to legalize the herb statewide in the near future. Portland, the state's largest city, passed a similar initiative last year. 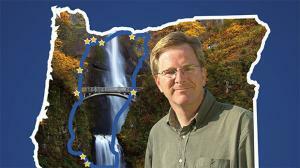 Rick Steves Hits the Road for the Oregon Legalization Initiative. The charming and mild-mannered PBS travel show host is kicking off a 9-stop tour in support of Measure 91. Steves, who lives in next-door Washington state, also played a critical role in that state's successful 2012 legalization initiative. 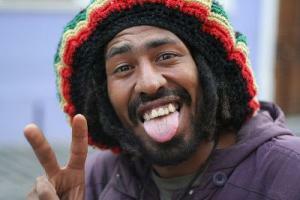 DC Council Votes to Strengthen Law to Seal Records for Past Marijuana Arrests. The DC Council voted unanimously today in favor of a bill that would improve the process by which a person can seal criminal records pertaining to conduct that has since been decriminalized or legalized. The council is expected to take a final vote on the bill in late October and it will then go to Mayor Vincent Gray for his review. The council decriminalized marijuana possession earlier this year, and the Measure 71 possession and cultivation legalization initiative appears poised to pass in November. Colorado Governor Says Voters Were "Reckless" to Legalize Marijuana. Gov. John Hickenlooper (D) said during a campaign debate with Republican challenger Bob Beauprez that Colorado voters were "reckless" for voting to legalize marijuana. "Any governor that looks at doing this before we see what the consequences are, I would view it as reckless," he said. But what about voters who voted for it? "I think for us to do that without having all the data, there is not enough data, and to a certain extent you could say it was reckless. I'm not saying it was reckless because I'll get quoted everywhere, but if it was up to me I wouldn't have done it, right. I opposed it from the very beginning. In matter of fact, all right, what the hell -- I'll say it was reckless." Hickenlooper may call voters "reckless," but he has overseen the good faith implementation of the voters' will. Beauprez opposes marijuana legalization. Pennsylvania Medical Marijuana Bill Appears Stalled in House. The state Senate last month passed a restrictive medical marijuana bill, Senate Bill 1182, but even that appears to be too much for the Republican-controlled House. Spokesmen for House Majority Leader Mike Turzai (R-Allegheny County) said the body wants to carefully study the bill, including holding public hearings. That means there is virtually no chance it will come to a vote this session. But some Democrats have some legislative maneuvers planned, including trying to attach it to another bill, so stay tuned. Grand Jury Fails to Indict Cops in "Baby Bou Bou" Georgia SWAT Raid. A grand jury in Habersharm County has decided against charging any police officers in a botched drug raid in which a toddler was severely injured by a flash-bang grenade thrown by a SWAT officer. "Baby Bou Bou" Phonesvanh's nose was nearly blown off his face and he spent weeks hospitalized after the raid, in which no drugs were found and no one was arrested. The county has also refused to pay the child's medical bills. Look for a civil suit to come. DEA Agent Set Up Fake Facebook Page in Woman's Name Without Her Consent. A DEA agent investigating a drug case took over a woman's identity, creating a fake Facebook page in her name and posting racy photos from her seized cell phone. The woman was a minor player in a drug case and didn't know her identity had been commandeered until friends asked her why she was posting racy photos. The woman hadn't even set up a Facebook page of her own. DEA Agent Timothy Sinnigen set up the fake page and used it to communicate with at least one drug suspect. Now, the Justice Department is arguing in federal court that it was perfectly okay for him to do so. Click on the link to read the whole sordid tale. Ten Percent Drop in Federal Prison Sentences of a Year or More. The Transactional Records Access Clearinghouse (TRAC) at Syracuse University reports that the number of federal prison sentences of a year or more has dropped by 10% over the past five years. Only about one in four people convicted of federal crimes received sentences of greater than a year. Drug offenders accounted for nearly one-third (32.4%) of them. The TRAC data doesn't specify whether this figure has gone up or down in the past five years. New York Times Endorses Alaska, Oregon, DC Legalization Initiatives. The editorial board of the New York Times endorsed all three initiatives in a Sunday editorial. The newspaper of record noted that all three entities had already legalized medical marijuana, and it "makes good sense" to go the rest of the way. "Opponents of legalization warn that states are embarking on a risky experiment," the newspaper said. "But the sky over Colorado has not fallen, and prohibition has proved to be a complete failure. It's time to bring the marijuana market out into the open and end the injustice of arrests and convictions that have devastated communities." Oregon Legalization Campaign Gets Another $300,000 Donation. The Drug Policy Action Network, the campaign and lobbying arm of the Drug Policy Alliance, has kicked in another $300,000 for the Measure 91 legalization campaign. That means the group has now donated nearly a million dollars to the campaign, which has raised nearly $3 million overall. Pennsylvania Medical Marijuana Pilot Program Gets Underway. Three children's hospitals and the Department of Health are doing a research study on the use of CBD cannabis oil in children. The project, announced in May, is now underway. A broader, but still restrictive, medical marijuana bill has passed the Senate and awaits a vote in the House. Poll Finds Most See Drug Addiction as Moral Failing. Most Americans consider drug addiction a personal vice rather than a medical condition, according to a new poll from the Johns Hopkins Bloomberg School of Public Health. Respondents were much more likely to approve of helping people with mental illness than with drug addictions, the poll found. "While drug addiction and mental illness are both chronic, treatable health conditions, the American public is more likely to think of addiction as a moral failing than a medical condition," study leader Colleen Barry, an associate professor in the department of health policy and management, said in a Hopkins news release. "In recent years, it has become more socially acceptable to talk publicly about one's struggles with mental illness. But with addiction, the feeling is that the addict is a bad or weak person, especially because much drug use is illegal," she added. FDA Responds to Critics on Zohydro. 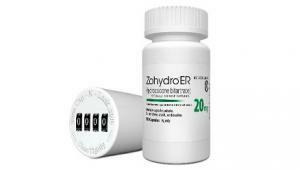 Responding to months of criticism over its decision to approve the prescription opiate pain reliever Zohydro ER, a trio of Food and Drug Administration (FDA) officials have written a piece in the Journal of the American Medical Association saying approval of the drug was warranted and criticism of the agency was misguided. Concentrating on one drug during a time of heightened concern over opiate misuse does not address the underlying problems of widespread misuse and physician overprescribing, they write. 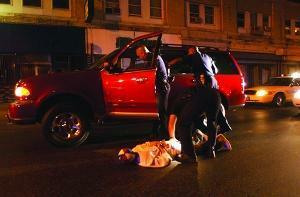 "The problem of opioid overdose demands well-informed policies. 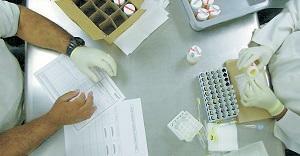 The actions taken by FDA may help to reverse the epidemic," they wrote. "Policies that focus on a single drug can divert focus from broader, further-reaching interventions… The concerns over Zohydro ER should be seen in the greater context of the opioid epidemic. Singling out one drug for restrictions is not likely to be successful." British Liberal Democrats Approve Drug Reform Platform. The Lib Dems, junior partners in a coalition government with the Conservatives, Sunday approved a drug policy plank that calls for the decriminalization of drug possession and for the tightening of laws allowing police to stop and search people suspected of drug crimes. That puts them at odds with their coalition partners. The Lib Dems have presented their drug policy platform within the broader context of reducing crime, which has been going down, and reducing re-offending. Poll Finds Most British Think Drug War a Huge Failure. A new Guardian poll finds that 84% think the war on drugs cannot be won, with 39% supporting the decriminalization of drug possession and a slight majority (52%) supporting marijuana legalization initiatives like those in Colorado and Washington. Click on the poll link for much more detail and discussion. Ecuador Freeing Thousands of Drug Mules. Under a law that went into effect in August, Ecuador has begun quietly freeing thousands of people convicted of low-level cocaine smuggling offenses. The new law retroactively reduced jail sentences for drug mules, with some 500 already freed and at least another 2,200 to follow. The sentence reductions come only after a court hearing, which the prisoner must request. President Rafael Correa's father spent three years in a US prison as a drug mule. UNODC Head Says Drug Legalization Could Cause More Deaths. Yuri Fedotov, head of the UN Office on Crime and Drugs (UNODC), said today that drug legalization could lead to increased consumption and more deaths. He was responding to a report last month from the Global Commission on Drug Policy that called for "experiments in legally regulating markets in currently illicit drugs," which he rejected. "I believe that such experimentation certainly will make drugs more available and (cheaper)," Fedotov said. "It means that we may face increased consumption of psychoactive substances which may result in more death and more suffering of individuals (and) their families." 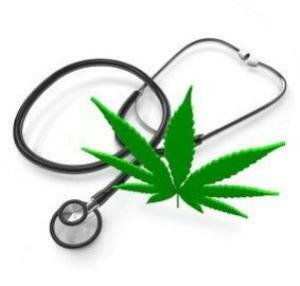 On Monday, a survey found that 5% of adult Californians have used medical marijuana. The survey from the Public Health Institute in Sacramento, which will appear in the journal Drug and Alcohol Review, also found that, contrary to popular belief, it mostly is sick people using medical marijuana: "It is clear that (California law) is helping people who are sick and use medical marijuana to treat serious medical conditions… Our study contradicts commonly held beliefs that medical marijuana is being overused by healthy individuals… under the pretense that they have a serious medical condition and that they 'need' marijuana to treat it." On Tuesday, the state Supreme Court heard a patient's wrongful firing lawsuit. The state Supreme Court is hearing arguments in the case of Brandon Coats, a quadriplegic who worked for the Dish Network until he was fired four years ago for testing positive for marijuana. Dish Network argues that even though medical marijuana is legal under state law, it is still illegal under federal law, and the firing was thus justified. Last week, dispensaries finally opened for business. The state's first licensed grower sent its first shipment this week to dispensaries, which promptly began selling it to qualified patients. All six dispensaries in the state should be open this week. 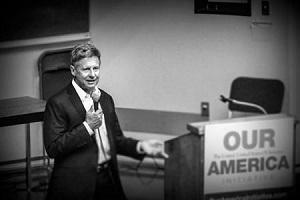 Last Thursday, a SurveyUSA Poll had Amendment 2 at 53%. The latest SurveyUSA poll has the Amendment 2 medical marijuana initiative with 53% of the vote, but since the initiative is a constitutional amendment, it needs 60% to pass. That's a slight drop from the last SurveyUSA poll, which had support at 56%. Importantly, while only 53% said they would vote for it, only 31% said they would vote against and 15% were undecided. If the undecideds split evenly, the initiative will squeak out a victory. On Monday, a Guam attorney sought to block the pending medical marijuana initiative. Voters in Guam are set to vote on a medical marijuana initiative submitted by the territorial legislature next month, but a Guam attorney asked the US District Court there to block the vote. Howard Trapp argues that the legislature can't legally "pass the buck" to voters, even though the island's Supreme Court said it could in an August ruling. The election commission has until October 7 to respond to the filing. Last Wednesday, state officials said more than 350 people had applied for medical marijuana business permits. Some 158 people applied as potential cultivation centers, while 211 applied to operate dispensaries. The state will grant 21 grow center permits and 60 dispensary permits by year's end, with the first legally obtainable medical marijuana available by spring 2015. Last week, the first Illinois patients got their registration cards. Jim Champion, an Army vet who suffers from multiple sclerosis, was apparently the first Illinois patient to get his medical marijuana card. His came last week. He is the first of more than 2,000 Illinois residents who have applied under the state's new law. Last Friday, the governor asked the Justice Department to allow the state to obtain medical marijuana from other states. Last Friday, Gov. Andrew Cuomo (D) sent a letter to Deputy Attorney General David Cole asking the Justice Department to extend a narrow, time-limited exception to federal law to allow the importation of certain strains of medical marijuana from other states for use by children in New York with severe forms of epilepsy. The letter follows a similar letter sent last month by the Cuomo administration to Attorney General Eric Holder. On Monday, the state's two US senators joined the call. US Sens. Kirsten Gillibrand (D) and Charles Schumer (D) Monday sent a letter to Attorney General Eric Holder in support of Gov. Andrew Cuomo's (D) request for the Justice Department to allow the state to import high-CBD cannabis oil from out of state. "As members of Congress whose constituents suffer from these illnesses, we feel that the federal government ought to do what it can to help these children," the senators wrote. "Therefore, we are requesting that you provide the state of New York with a waiver that would prohibit federal prosecution for the importation of cannabidol in the rare cases where medical marijuana is imported between two states with legalized medical marijuana, and the amount is small, finite and prescription-based." Last Wednesday, the state Senate approved a restrictive medical marijuana bill. The state Senate approved Senate Bill 1182, after amending it to remove the ability to vaporize the plant and removing a large number of qualifying medical conditions. The bill now goes to the House. This coming Saturday, it's the second annual Rhode Island Medical Marijuana Festival. The Rhode Island Patient Advocacy Coalition is hosting the festival to celebrate the eighth year of the state's medical marijuana program. Click on the link for more details. On Monday, activists targeted obstructionist lawmakers with billboards. Sick and tired of seeing bills blocked in the state legislature, medical marijuana activists are targeting two key opponents, Republican state Sens. Mary Lazich and Leah Vukmir, in a newly unveiled billboard campaign. The billboards urge readers to call the two senators and ask them why Wisconsin patients have no access to medical marijuana. Click on the link to see the billboard. For extensive information about the medical marijuana debate, presented in a neutral format, visit MedicalMarijuana.ProCon.org. ].